Putting Calories on menus is an idea that the coalition party are keen to take forward. As caterers you can easily calculate calories to go on menus yourselves. This course gives you all the information that you need to calculate calories accurately. 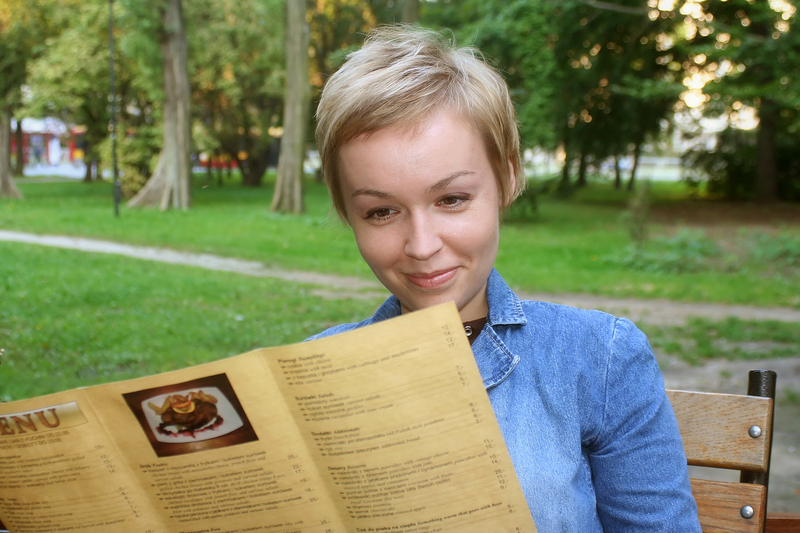 It will demystify any science linked to calculating calories and most important it will give you the confidence to put calories on your own menus. The course on 20th January is fully subscribed. Why not register your interest here to receive information about the next course available in April 2011. I’m interested in receiving information on the next calories on the menu course. If you would like to be notified of similar courses in the future please sign up for our regular updates. This event is designed to update and improve the knowledge and skills of caterers and food providers in recipe analysis. 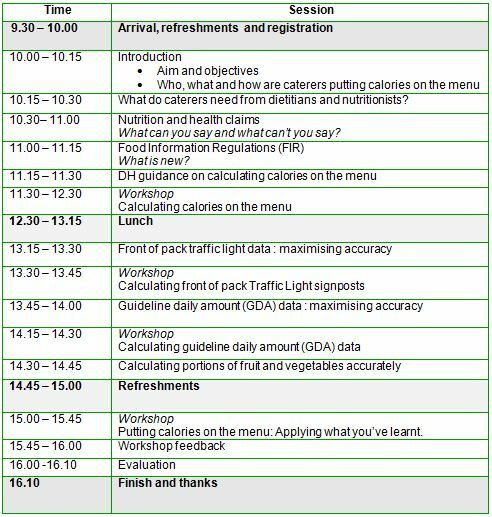 In particular, it is designed to provide a learning opportunity for caterers to understand when it’s practical to calculate calories; and when the calculations are likely to be complex and it would be worth bringing in someone with additional expertise in recipe analysis to provide support.